Why do people - gay or straight - need the state's permission to marry? For most of Western history, they didn't, because marriage was a private contract between two families. The parents' agreement to the match, not the approval of church or state, was what confirmed its validity. For 16 centuries, Christianity also defined the validity of a marriage on the basis of a couple's wishes. If two people claimed they had exchanged marital vows - even out alone by the haystack - the Roman Catholic Church accepted that they were validly married. In 1215, the church decreed that a "licit" marriage must take place in church. But people who married illicitly had the same rights and obligations as a couple married in church: Their children were legitimate; the wife had the same inheritance rights; the couple was subject to the same prohibitions against divorce. By the 1920s, 38 states prohibited whites from marrying blacks, "mulattos," Japanese, Chinese, American Indians, "Mongolians," "Malays" or Filipinos. Twelve states would not issue a marriage license if one partner was a drunk, an addict or a "mental defect." 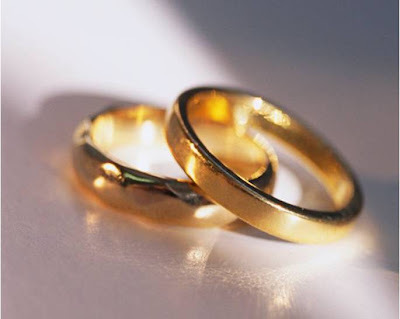 Eighteen states set barriers to remarriage after divorce. In the mid-20th century, governments began to get out of the business of deciding which couples were "fit" to marry. Courts invalidated laws against interracial marriage, struck down other barriers and even extended marriage rights to prisoners. But governments began relying on marriage licenses for a new purpose: as a way of distributing resources to dependents. The Social Security Act provided survivors' benefits with proof of marriage. Employers used marital status to determine whether they would provide health insurance or pension benefits to employees' dependents. Courts and hospitals required a marriage license before granting couples the privilege of inheriting from each other or receiving medical information. Today, however, possession of a marriage license tells us little about people's interpersonal responsibilities. Half of all Americans aged 25 to 29 are unmarried, and many of them already have incurred obligations as partners, parents or both. Almost 40 percent of America's children are born to unmarried parents. Meanwhile, many legally married people are in remarriages where their obligations are spread among several households. Using the existence of a marriage license to determine when the state should protect interpersonal relationships is increasingly impractical. Society has already recognized this when it comes to children, who can no longer be denied inheritance rights, parental support or legal standing because their parents are not married. As Nancy Polikoff, an American University law professor, argues, the marriage license no longer draws reasonable dividing lines regarding which adult obligations and rights merit state protection. A woman married to a man for just nine months gets Social Security survivor's benefits when he dies. But a woman living for 19 years with a man to whom she isn't married is left without government support, even if her presence helped him hold down a full-time job and pay Social Security taxes. A newly married wife or husband can take leave from work to care for a spouse, or sue for a partner's wrongful death. But unmarried couples typically cannot, no matter how long they have pooled their resources and how faithfully they have kept their commitments. Possession of a marriage license is no longer the chief determinant of which obligations a couple must keep, either to their children or to each other. But it still determines which obligations a couple can keep - who gets hospital visitation rights, family leave, health care and survivor's benefits. This may serve the purpose of some moralists. But it doesn't serve the public interest of helping individuals meet their care-giving commitments. Perhaps it's time to revert to a much older marital tradition. Let churches decide which marriages they deem "licit." But let couples - gay or straight - decide if they want the legal protections and obligations of a committed relationship.